Multitalented Farhan Akhtar is all set to release his next single ‘Why Couldn’t It Be Me’ from his album ‘Echoes’ on 14th December 2018. ‘Why Couldn’t It Be Me’ is part of his album ‘Echoes’ which Farhan describes as “a powerful and emotive journey into the pain of grief and guilt. While the album is an electric musical mix and lyrically focused on love and relationships, the acoustic, ‘Why Couldn’t It Be Me’, brings an extra dimension to Farhan’s work. 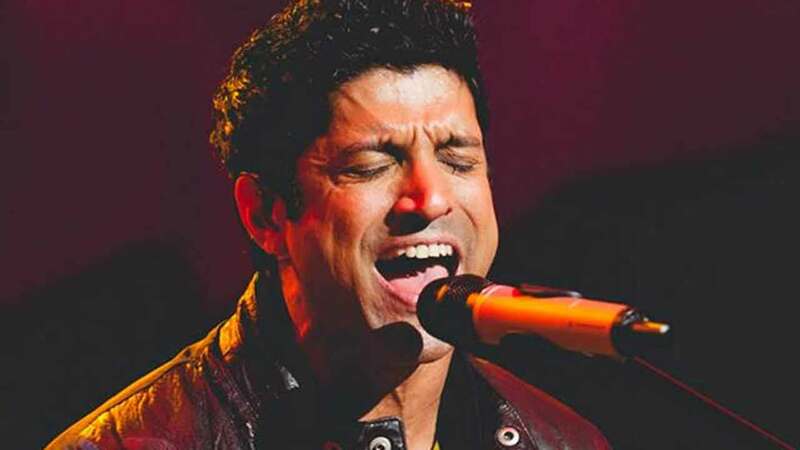 The song is Farhan Akhtar’s latest endeavor to tackle the maltreatment of women. From mothers and fathers to children and siblings of victims, the pain felt throughout a family and community. Farhan shares an incident that inspired him to pen down this song. Talking about it he says,” After 2014 massacre in Peshawar in Pakistan, when the Taliban stormed into an army school and shot over 200 children – I read an article about a mother whose younger son hadn’t gone to school that day because he’d pretended to be sick but his older sibling had gone and killed in the massacre.” He further added, ” When I read that story I thought it must be such a strange dilemma for a young boy- ‘that could have been me in place of my brother’ he must have thought. So, that thought got me writing, and I wrote ‘Why Couldn’t It Be Me’ from the perspective of that younger brother.” Farhan also shared that all this was possible because he wanted to focus on his music career. He said “Over the last two years I was just working on films non-stop. Ao, I felt that I needed some time out for myself, to reconnect with other things, to look at where my life’s at. I wanted to channel what I was feeling, and put it out there, just to share it with people and I found that process very cathartic.” Earlier in September, Farhan had released his first English single Rear View Mirror and Jaane Ye Kyun Kiya his first Hindi single which garnered immense appreciation from the audience from all corners. Farhan had made his debut with Rock On!! as not only actor but also singer. Farhan has been doing many concerts not just in India but at UK and US as well where he has received immense love from his fans. The actor will be next seen in “The Sky Is Pink’, co-starring Priyanka Chopra.